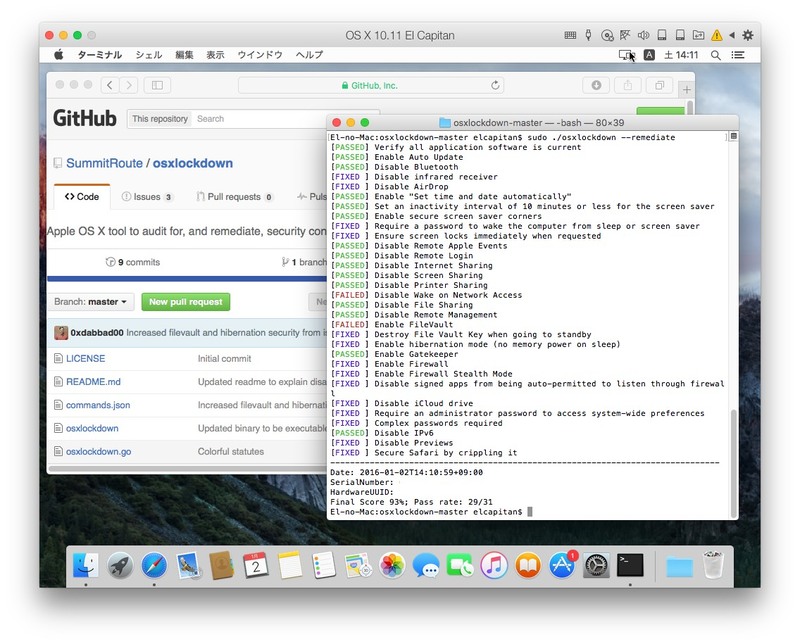 OS X 10.11 El Capitanを搭載したMacがどれだけセキュアな状態にあるかを検証してくれるコマンドラインツール「osxlockdown」がリリース。 | AAPL Ch. Is there is an easy way to audit and lock down (secure) Apple OS X 0.11 (El Capitan) unix operating system? Yes you can use the osxlockdown tool. It was built to audit, and remediate, security configuration settings on OS X 10.11 (El Capitan).